What will I do during this tour? 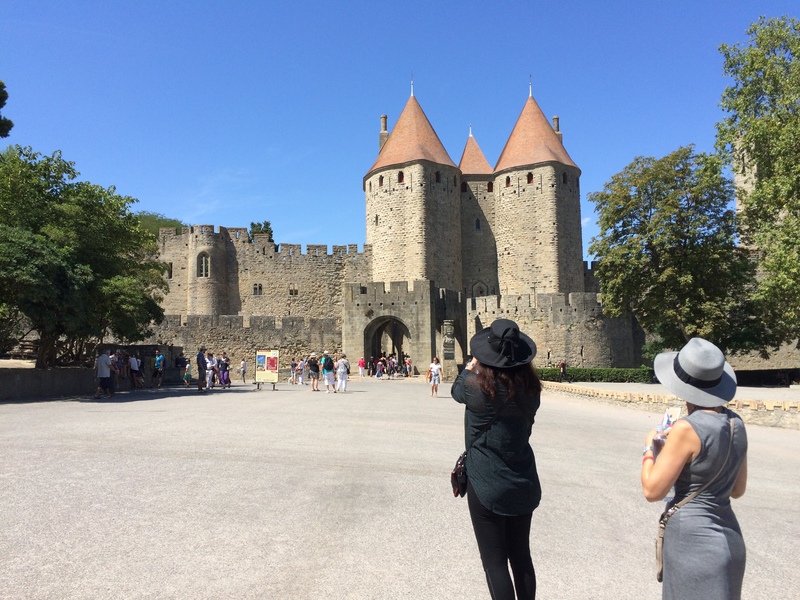 Enjoy time at leisure to visit the Carcassonne castle and the lovely surrounding streets…A medieval fortress settlement with a history that exceeds two and a half thousand years. For groups bigger than 8 people, please contact us. What level of physical activity should travelers expect ? Moderate travelers need to have a good physical fitness level for this hike. Good walking shoes are mandatory. In the morning we depart from Toulouse and we stop on the way at Castelnaudary to see the “Canal du Midi Grand Bassin” and the St Roch lock, listed as a UNESCO World Heritage site. Then visit the Cité de Carcassonne Unesco World Heritage listed walled city. A medieval fortress settlement with a history that exceeds two and a half thousand years with picturesque fortifications, over 3 km of walls with 52 towers. La Cité is a stunning and unique place to visit. Strolling through the medieval village with its tiny and twisted alleys The medieval charm and detail of this ancient city transports you back in time and impresses you at every corner. In the afternoon we discover the Castles of Lastours with breathtaking views from the belvedere. Then we hike through the valley to discover these structures one by one. They sit on a rocky spur above the village of Lastours, isolated by the deep valleys of the Orbiel and Gresilhou rivers. -Entrance fees for the Chateau comptal. La Cité de Carcassonne is best known for its UNESCO World Heritage listed walled city. A medieval fortress settlement with a history that exceeds two and a half thousand years and has over 3 km of walls with 52 towers. The Cité was featured in the movie Robin Hood – Prince of Thieves. It is also told that the Cité inspired Walt Disney for the Castle of his Sleeping Beauty. The Cité is a beautiful and interesting place to visit. Strolling through the medieval village with its tiny and twisting alleys, the beautiful little houses lying next to impressive buildings like the Basilique St-Nazaire, give you a hint of how life must have been. The inner detail orientated arrangements transport the medieval charm and will impress you at every other corner in this town. Make sure to walk with open eyes through the alleys! The Basilique St-Nazaire impresses especially with its enormous rose windows and the biggest organ of south France. Pope Urban V ordered the construction in 1096. You can choose to walk the Cité on your own without paying entrance for most of the medieval city. You only have to pay to visit the area of the Château Comtal (around 10€). Come on the 14th of July to watch one of the most famous firework in the world at the Carcassonne Castle you will be impressed! (The French National Day commemorates the beginning of the French Revolution with the Storming of the Bastille on 14 July 1789, “the Bastille day” is the name given in the English speaking countries.